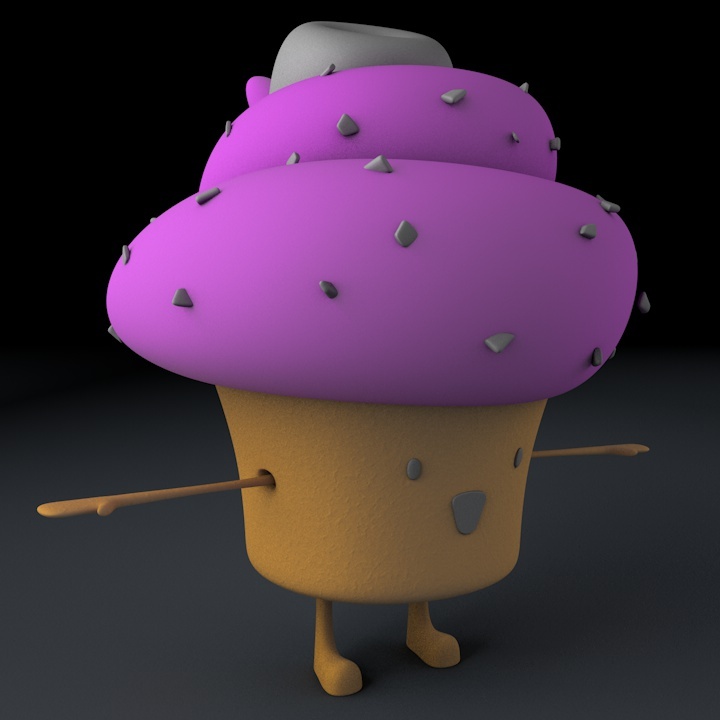 I’ve just finnished my main character texture. At the beginnings I didn’t know how to do it, but David help me giving me a clue: “Use subsurface scattering (SSS)”. He was totally right. I worked with it and the results were not too bad. But there wasn’t what I was looking for. Then I realised that cakes have little holes instead of that roughness I put in. So I changed it. In addition I turned scattering levels lower. 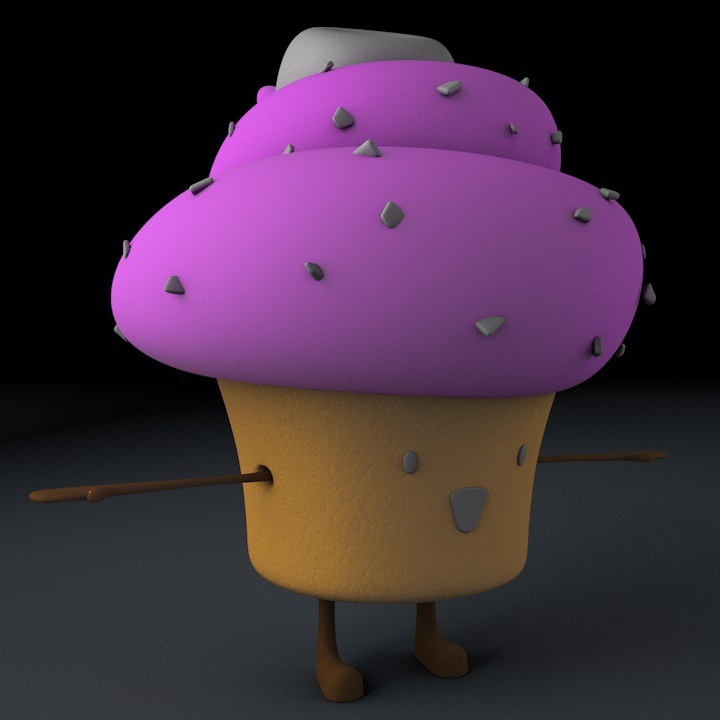 I wanted my main character to look as a real cupcake, but I want a teddybear texture to. 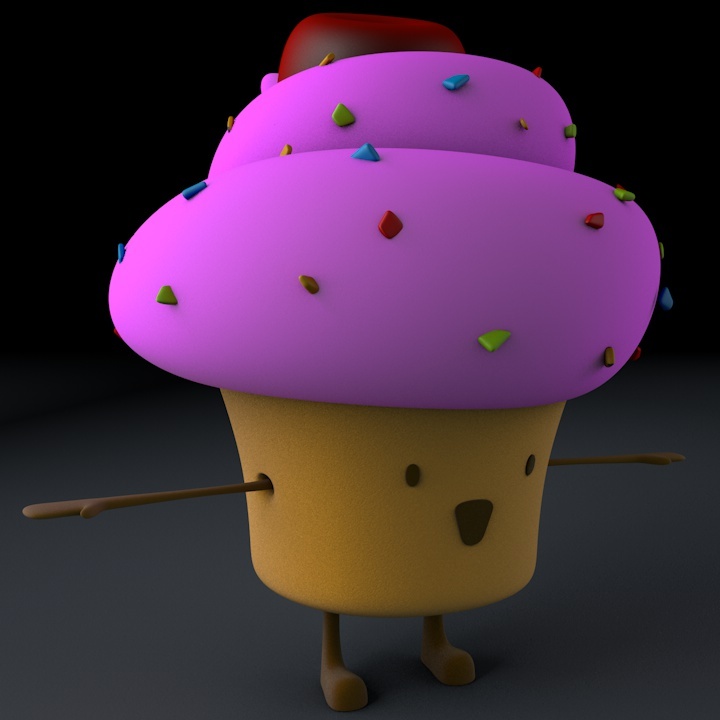 So I decided to try to achieve a velvet texture. And that’s it! A creamy-velvet-biscuit look! 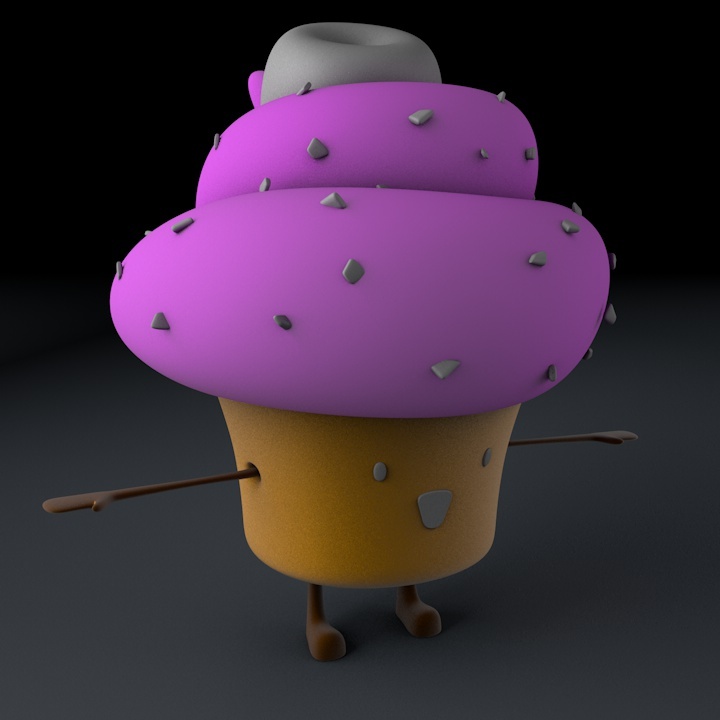 To do the cherry I used a fresnel texture that makes the corners brighter than the center. Posted on March 19, 2013, in Negotiated Studies. Bookmark the permalink. Leave a comment.